In the early 1940’s the United States was immersed in World War II. Despite the ravages of war on our country, Americans celebrated Thanksgiving on the Homefront and the Frontlines. My beloved Grandma Witham left me a wartime cookbook called Woman’s Home Companion Cook Book. Page, ix, is titled WARTIME POSTSCRIPT. As this edition goes to press our country is still at war. Rationing is in force and shortages of many foods have developed. In a fine spirit of patriotism American homemakers have adapted themselves to the changes. Their minds open to new ideas: foods they have never served before are now appearing on their tables. There’s more, but I think you can see that America’s Thanksgiving might have been slightly lean in those years. In the Woman’s Home Companion Cook Book, there are many wartime friendly recipes. Scald milk with sugar and butter; cool slightly then add cake crumbs. Beat egg slightly; add salt and vanilla; stir slowly into first mixture. Turn into a greased one quart casserole and place into a pan containing warm water up to the level of the pudding. Bake in a moderate oven (375 degrees F.) about 1 hour. Use day-old bread, crusts and all, cutting it to 1/4 - to 1/2 -inch cubes. Place these in a buttered 1-quart baking dish. Scald the milk with the butter and sugar. Beat eggs slightly; add salt, then stir in the warm milk and vanilla. Pour over the bread cubes. Set baking dish in a pan containing warm water up to the level of the pudding and bake in a moderate oven (350 degrees) about 1 hour or until a small knife comes out clean when inserted in the center of the pudding. Makes 4 to 6 servings. 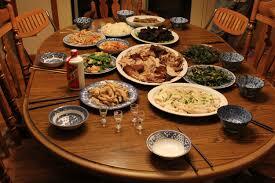 On the Homefront, when turkey wasn’t available, perhaps chicken or fresh-caught fish served as the main dish. When cream or sugar ran low, recipes were adjusted to fit the shortages. People got by on what they had and did it with thankful hearts. I’m thankful for my big, loud, obnoxious family, for the abundance of food on our table, for all the HHH blog reader and most of all, I'm thankful for the love that surrounds me. 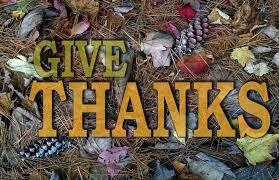 I hope, regardless of your circumstances, you are able to find reason to be thankful during this time. I pray each of you have a joyful, blessed, and healthy holiday season. Multi award-winning author, Michele K. Morris’s love for historical fiction began when she first read Laura Ingalls Wilder’s Little House book series. She grew up riding horses and spending her free time in the woods of mid-Michigan. Married to her high school sweetheart, they are living happily-ever-after with their six children, three in-loves, and eight grandchildren in Florida, the sunshine state. Michele loves to hear from readers on Facebook, Twitter, and here through the group blog, Heroes, Heroines, and History at HHHistory.com. Michele is represented by Tamela Hancock Murray of the Steve Laube Agency. Hope everyone's Thanksgiving was wonderful! Thank you, Connie! Wishing you a wonderful holiday season! Thank you, Michele, for sharing this with us. I greatly admire the women of this generation that included my grandmother. Many women were baking goodies for their men overseas during Thanksgiving so their packages would get to their loved one in time for Christmas. You're so very welcome, Pat! Our grandma's generation was a hard working and brave bunch of women, weren't they?! Happy holidays to you and yours! Love this article, Michele! My parents were part of this generation--Dad out in the South Pacific, and Mom at home writing letters. They married after he came home, and the Pioneer Bread Pudding recipe sound very similar to the bread pudding Mom used to make when I was a kid. Thanks for sharing! Thanks for sharing your grandmother's cookbook. I love bread pudding and enjoyed seeing this recipe. You're welcome. It was my pleasure to share a little about my grandma. I love bread pudding too. :) Thank you for stopping by and commenting, Connie! Great post Michele, thank you for sharing.